For our second topic, Gini asks the question, “Is specialization in PR a thing of the past or the way of the future?” Martin and Joe weigh in with their views and how they have harnessed generalist and specialist knowledge in their careers. 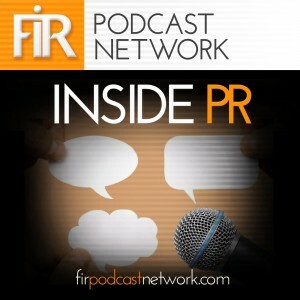 Leave a comment on the blog, send us an email or an audio comment to [email protected], join the FIR Google+ Community, join the Inside PR Facebook group, message us @inside_pr on Twitter, or connect with Gini Dietrich, Joseph Thornley, and Martin Waxman on Twitter. And we have a favor to ask: If you like this podcast, please rate us on iTunes. Inside PR is produced by Joseph Thornley.